Secondary Glazing for Sound Proofing and Energy Savings On All Window Types in Hotels, Offices, Listed Buildings, Historical Structures, Private Homes and Apartments In Ireland. By getting the VAT back…?? Treat your beautiful single or double glazed windows to the substantial benefits of Secondary Glazing without having to consider removing them. No mess, minimal inconvenience while work being carried out and all work carried out in one day. 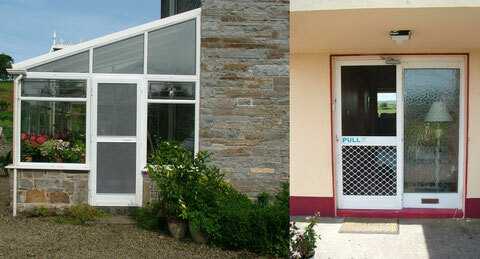 See our Secondary Glazing Gallery for more images. 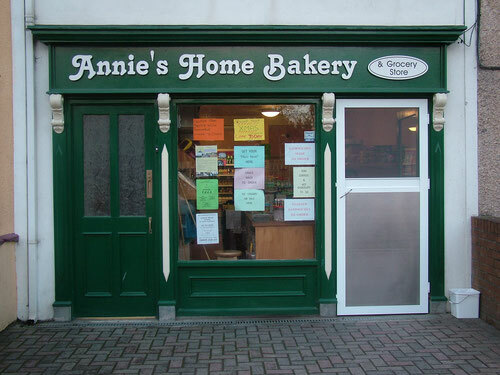 A real success in Ireland since 1985! Helps keep those unwanted pests at bay! All designed and fabricated in Ireland. 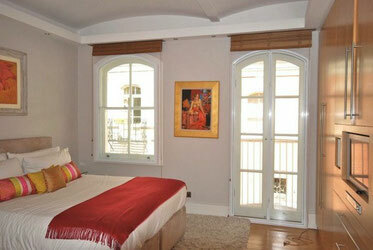 Comfortable rooms play a vital role in attracting guests to a Hotel or Guest House. With ever increasing noise levels because of road noise, where buildings are adjacent to bypassing traffic - this is becoming even more difficult to provide in recent years, and the ongoing debate on noise levels and energy consumption grows momentum. ‘Recent surveys show that hotels and guest houses use nearly half their energy on heating their premises’. Facts and history show that Secondary Glazing Systems are the most effective solution for providing a good night’s sleep while also reducing energy usage. With over 30 years of experience working with the catering industry WIND-DO SEAL LTD, Ireland’s leading provider of Secondary Glazing Systems provide units that arrive fully fabricated from their factory, in colour choices to match existing décor. We ensure installation is completed with minimal disruption and normally will not affect room occupancy. The WIND-DO SEAL Sound Proofing System is discreetly fitted on room side of the window and offers sound reductions of up to 70% (between 45dB and 55dB) - in line with building regulations and offers added security as our most recent system comes with added finger locking system. When Secondary Windows are fitted energy savings can improve by up to 60% and do not change the aesthetic appearance of the existing windows. We are currently carrying out work on a number of hotels, guest houses, listed buildings and offices in built up areas as well as a long list of private homes nationwide where noise reduction as a result of increasing road traffic is a requirement. Where high sound insulation of windows is required, airspace of widths of greater than 100mm may be required with one glass width being of a greater thickness than the outer pane (if fitting inside a double glazed window). However beyond 200mm the improved acoustic value is small. Increasing the width of the cavity between the primary window pane and inner pane increases sound insulation - (ensure that the component glasses differ in thickness by at least 30% - e.g. 4mm + 6mm or 6mm + 4mm. Fitting of absorbent materials to the reveals is beneficial as it reduces reverberation in the cavity’’. (Ref: BRE Sound Insulation Of Glazing Systems Paper IP12/89’’). Over the usual cavity width range of 6mm to 20mm or more for double or triple glazed insulated units, there is little variation in acoustic performance (4%). With Secondary Glazing the acoustic performance is enhanced greatly by creating the optimum ‘air gap’ (100mm – 150mm) between the existing glass and the inner glass. Combine this process with fitting an absorbent frame onto walls, overhead reveals and window sill area. This will reduce potential reverberation from walls and cavity area of the windows. When fitting Secondary Glazing Systems it is advisable to use a different glass thickness to the one in the existing window. 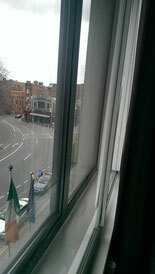 From an ‘energy saving’ point the ‘U’ value of single pane glazing would be between 5-7 and fitting of Secondary Glazing will reduce this to between 1.6 and 2.4, depending on existing window quality, which would be similar or better than a conventional 12 – 16mm vacuum sealed double glazed unit. Gas filled systems would be more energy efficient. The information supplied herein is a general description of the WIND-DO SEAL System – its products and materials and WIND-DO SEAL Ltd hereby disclaims all liability howsoever arising from any error in or omission from this information and any consequences of relying on it. Irish official method for calculating and rating the energy performance of dwellings. This document describes DEAP 2012, Version 3.2.1 and dated June 2012. This version is applicable to new and existing dwellings. A ‘U’ value (W/m2K) of 2.4 can be achieved with Secondary Glazing compared with 3.1 down to 2.8 for replacement windows, (depending on window area, glaze type, age, frame type and orientation) with a 12mm gap and 2.8 for a 16mm gap: so Secondary Glazing is better than regular double glazing – in fact more than twice as good. Lower ‘U’ values can be achieved by the use of ‘Low E’ hard coat glass. Secondary Glazing has also a good Solar Transmittance of .76 compared to .76 with a Double Glazed PVC or Wooden window with ‘air filled’ gap of 6mm. Secondary Glazing is an independent internally fitted window, usually fitted on room side of any existing primary window, thereby not having to remove good quality windows, which may be too good to replace. It can also provide up to 70% reduction in noise permeating through the windows as result of road traffic, human traffic, animal and other noise issues. It also improves thermal insulation, can reduce the ‘U value’ in single glazed windows from an average of 5-7 ‘U’ value - down to less than 2 (if using ‘Planibel G’ Low-E Glazing). In the process, it prevents heat loss (by up to 67%), eliminates draughts and gets rid of those cold-zones around window frames. Using ‘Planibel G’ Low-E Glazing is the best option to provide additional comforts and maximum Energy Conservation. On Sound Proofing applications - the use of the most modern glazing techniques assist with acoustic values. Using a 6.4mm laminated glazing, maximum sound proofing can be achieved. The Secondary Window is discreetly installed by our trained craftsmen to match existing décor and comes in white or brown colours as standard. All other RAL colours can be matched. Available in a horizontal sliding / vertical sliding, ‘In-Frame’ hinged, fixed or lift-out panels, matching all requirements and designs. Secondary Glazing has been the choice of professionals worldwide for many years and has been fabricated here in Ireland since 1985 by Wind-Do Seal Ltd with total success. 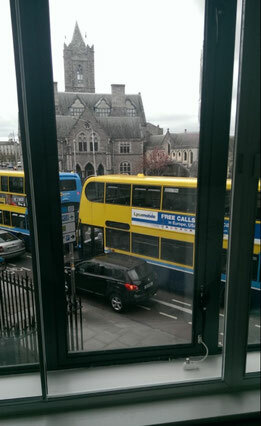 Wind-Do Seal Ltd has been working closely with the accommodation sector for many years to assist in making bedrooms in many of Irelands leading Hotels, Guest Houses and BnB’s, more comfortable to stay in - by having our Secondary Glazing fitted to their windows. Since 1985, Secondary Glazing has been the choice of professionals as a Thermal and Sound Proofing option in the accommodation sector in leading hotels, Guest Houses, Government Buildings, Offices, apartment dwellings in busy thoroughfares as well as for thousands of homeowners nationwide. It is an ideal solution on listed buildings, preservation structures and conservation projects to help maintain existing facades, aesthetic appearance, character and value. 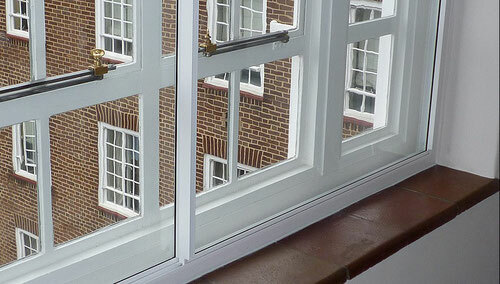 On Sound Proofing projects, Secondary Glazing frames are made from tough, robust, yet aesthetically appreciative, slim-line powder-coated aluminium and are securely fitted using a packer-frame to resist force and also create an ‘air gap’ of (150mm – 200mm) between the primary window and the Secondary Window. This ‘air gap’ is necessary to create maximum Sound Proofing effect. On Energy Saving projects we attempt to fit the glazing onto the outer frames of the primary window as ‘air gaps’ are not necessary. Secondary Glazing helps deter would-be intruders, helping to reduce force impact by the use of packer-framing, resins and toughened glazing. Commercial buildings can be prime clients for Secondary Glazing as they can be targets for commercial vandalism or theft of goods. Secondary Glazing can exceed building regulations, provide ultra-quiet living conditions, provide significant energy and financial savings and enhance living conditions.